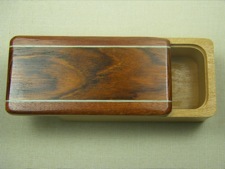 Finely crafted box with a magnetic snap closed lid. Beautifully made from American Cherry, Cocobolo, Bloodwood, and Blue Obeche. 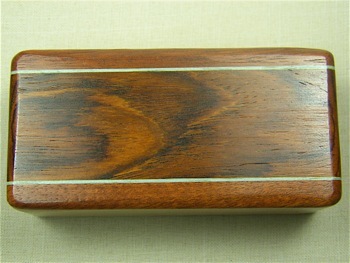 Measures 1x1.75x4 inches. Made in USA.